Our first service project is the Vision Outreach Program. This goal of this project is to provide glasses, eye drops, and other vision care needs for children and adults who are seen during the eye brigades of the University of Arizona Department of Ophthalmology. Please consider helping those who need vision care in Tucson, the United States, and around the world, by making a donation. 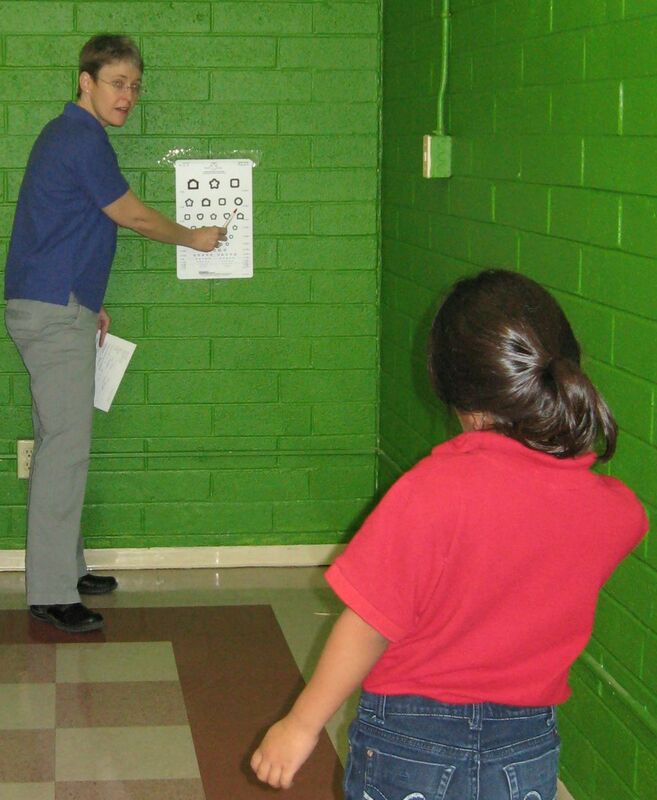 In January 2011, the Tucson Eyes on Sight Lions Club Branch did a visual acuity screening for students in grades K-8 at the Wildcat Charter School in Tucson. A total of 166 students were screened, and 58 students (35%) were referred for an exam. Approximately 92% of the students at the Wildcat School, mostly Native American and Hispanic, are economically disadvantaged. Thanks to the support of the Tucson Breakfast Lions Club, the Eyes on Sight Club Branch was able to provide examinations and glasses, when needed, through the Lions Vision Center for 20 students who were referred. In September 2011, the Club did another vision screening. A total of 183 students were screened, and 70 were referred for an exam. The school estimates that approximately 30% of the students who fail the screening have insurance that will pay for an eye examination, but insurance will not cover any expenses for eyeglasses. Approximately 70% will not be not covered by insurance for either an eye examination or eyeglasses. It is financially difficult for parents to cover the cost of an examination and eyeglasses. The Eyes on Sight Branch Club continues to perform vision screening for students at several local charter schools and provides funds for the students who are referred for an examination. Our first priority is to fund an examination and eyeglasses for those students who have no insurance coverage. The second priority would be to fund eyeglasses for those students who have insurance but no coverage for eyeglasses. The Club has supported several missions for the Ophthalmology Residency Program at the University of Arizona College of Medicine at South Campus with the purchase of prescription eyeglasses, readers, and sunglasses. 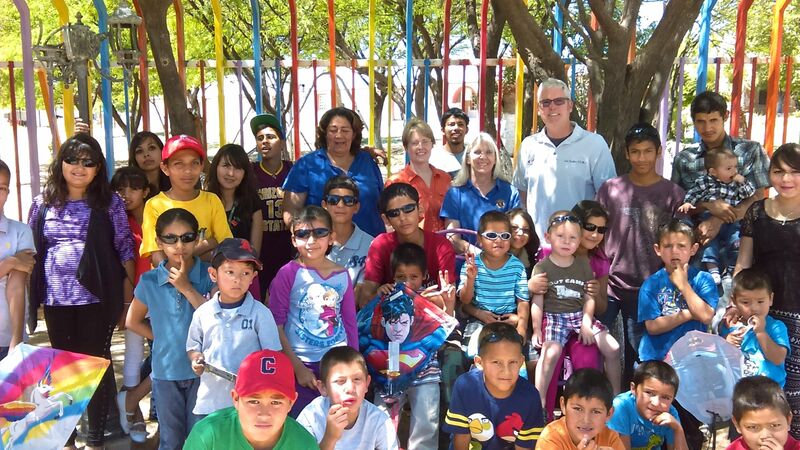 The Club also provides annual vision exams for the children at the Imuris Orphanage (Mexico), as well as prescription eyeglasses for those who need them. The Lions Vision Center provides an examination and eyeglasses for $70; and $45-50 for eyeglasses for those students who are able to obtain a prescription through their insurance. Please help us provide the needed vision care for these students. Want to help improve vision in children and adults? Make a donation to our vision fund! To make a donation, you may send a check or money order to "Eyes on Sight Lions Club," c/o Erin, 655 N. Alvernon Way, Suite 108, Tucson, AZ 85711. The entire amount of your donation -- 100% -- goes to help support vision care for needy children and adults. No portion of your donation will be used for administrative support of the club. Help support resident education by using the following link when you purchase items from amazon.com. Amazon will donate 0.5% of the price of your eligible AmazonSmile purchases to Tucson Eyes on Sight Lions Club Branch (Tucson Breakfast Lions Foundation Inc) whenever you shop on AmazonSmile. There is NO cost to you. Please share this link with friends and family. All funds will be used to purchase educational items, such as instruments, books, and other training materials.